e-Orchids Techsolution Pvt Ltd Walk-in Drive Jobs opening 2018-2019 for Senior PHP Developers download application at www.e-orchids.com. 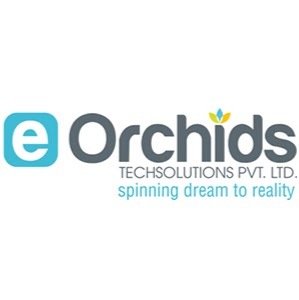 e-Orchids Techsolution Pvt Ltd walk-in for Senior PHP Developers has invited applications from interested, eligible candidates to fill in the vacancies Interested candidates can apply on through official website. who have not applied until now can follow the instructions below and apply Online. e-Orchids Techsolution Pvt Ltd Walk -in Drive Jobs Opening For Senior PHP Developers @ Chennai Apply Now. We focus on helping you redefine and implement technologically driven transformations by our transformation expert consultants have gathered critical global expertise in quality assurance programs. That is why we have decided to focus chiefly on the quality of our transformation program management from two sides. Working with debugging tools like Firebug,Chrome inspector. *Landmark* : Tailors Road Bus Stop.